Call 970-658-5641 to schedule your first appointment. Enjoy hearing your favorite songs, voices, and other sounds again when you choose the options from Miracle-Ear®. At our center, we offer a variety of options for customers looking for hearing aids in Sterling, Colorado. When you shop with us for solutions, you can count on our specialists to help you find the right match for your needs. Visit us today to take a free hearing test and to discover more on our options. Each of our products is made to hold up to a lifetime of use. As part of your purchase, we are pleased to provide you with ongoing care for your hearing aids. These services include free repairs and adjustments, as well as a free annual hearing test. Choose the newest technology available for your hearing aids when you visit our center. Featuring GENIUS™ Technology, our aids deliver clear sound quality, giving users a way to hear speech and other sounds with ease. Our aids provide users with the most natural hearing experience in any location, including restaurants. For the latest solutions available for your hearing needs, visit our local center. Miracle-Ear® features more than 1,300 locations nationwide, and there is a product available for every individual. We are proud to be America’s most recognized brand of hearing aids. Visit our specialists today to find out more about our risk-free, 30-day trial period. Contact us in Sterling, Colorado, to shop our selection of hearing aids. We provide a range of services for seniors throughout the area. Jim Newton has been helping people hear and understand better in the Northeastern Colorado area since 1988. 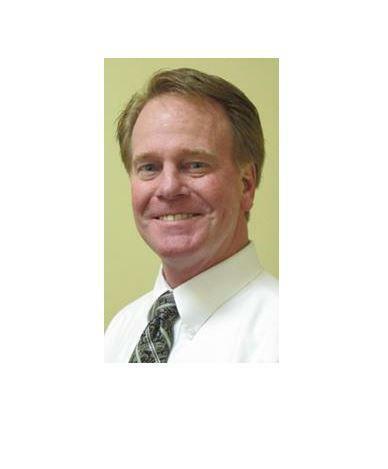 He is an Audioprosthologist and is Nationally Board Certified in Hearing Instrument Sciences. Jim is passionate about providing quality hearing healthcare and finding the best solutions for better hearing and quality of life for his patients. "While the technology we have today is amazing and allows us to meet our patient's audiometric needs, the follow-up care we offer is crucial to ensure that my patients are receiving not only what they 'should have,' but also what best meets their personal and lifestyle needs," says Newton. Miracle-Ear's lifetime of free aftercare service will make certain that your hearing needs will be met for years to come. Jim is a third generation Ft. Collins businessman and firmly believes that if you take great care of people, they will take care of you. Jim has been married to Lynn for over 36 years and has two grown daughters and one amazing grandson (with another on the way in March 2016).